From my good friend DC gallerist Charles Krause comes the below guest piece (reproduced with his permission from his newsletter), detailing the curious case of artist Anatol Zukerman and a customized US stamp. Personally, I find it very curious that the Zukerman stamp was denied for being "political", while clearly other political stamps (such as stamps for Cruz, Bush, Sanders, etc.) noted below are OK... and this does raise a curious question about this particular Zukerman stamp. I do have an answer to Charles' question: "Are zazzle and the Postal Service in bed with the Republicans?." My answer is based in the fact that there's a gazillion Democratic junk on that site as well, including a lot of both "pro" and "against" Clinton crap.... and even one very funny anti Cuban-American candidate Ted Cruz button (image to the right, cough, cough)... and a truckload (almost 1,400 pages of items!) of both pro/against, but plenty of nasty, sometimes funny, anti-Trump stuff. And based on that empirical evidence, and loads of other imagery from the site, it is clear to me that zazzle.com is not in bed with the Republicans, but it is an equal opportunity bedmate to both parties and the nuts who make up both parties' extremes. I see absolutely no zazzle lean to the right or the left: Dems and Repubs are equally applauded and/or pissed on... there's no case here for any political lean. Where Zukerman and Krause do have case, is why zazzle.com declined to print the stamp. It may be a "visual" issue (and thus another reaffirmation of the power of the representational visual arts). Both the Cruz, and the Sanders, and the Bush stamps discussed in Charles' newsletter (and seen below less Bernie's) are just mostly words on a stamp, while Zukerman's stamp is a powerful visual reference (in addition to words). Should this make a difference in the "too political" classification? I don't think so, and this is where the suit may have some legs. 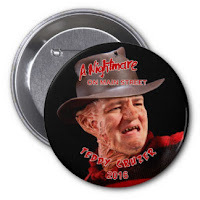 And thus it is curious that zazzle.com did what they did. It is also wrong and I hope that the courts rule for Zukerman and Krause. Last week, a team of lawyers from the highly regarded Washington law firm of Kellogg, Huber, Hansen, Todd, Evans and Figel, working pro bono, filed suit in the US District Court for the District of Columbia on behalf of Anatol Zukerman, an artist whose oil pastel drawings are often deadlier than the guns he abhors, and my gallery, which has represented Anatol and his work since 2013. "the Defendant USPS has, both directly and through its agent, unlawfully engaged in both content and viewpoint discrimination in violation of the First and Fifth Amendments to the U.S. Constitution." The case has been filed as Civil Action No. 15-2131, Anatol Zukerman and Charles Krause Reporting LLC v. United States Postal Service. As many of you reading this know, I've long believed that Art can be a catalyst for social and political change. Like many others, I've also been convinced for some time that the Supreme Court's Citizens United decision, permitting corporations, unions and individuals to donate unlimited sums of money to political campaigns, would sooner or later undermine faith in our elected officials and compromise our democratic system. And that, it seems to me, is what's already begun to happen: corporations and the super-rich are investing in start-up candidates for Congress and the Presidency, the way Silicon Valley invests in start-up tech companies. It doesn't matter if they drop $10 or $20 million on a couple of start-ups who fail to deliver (Jeb Bush, for example, or Martin O'Malley) because all the donor class needs is one of their candidates to make it to the White House and they've hit the jackpot. The pay-off is huge for all of them. For the rest of us? Not so much, or not at all, which is why the Republican base is in rebellion, why Bernie Sanders is doing so much better than expected and why the Supreme Court's ruling in the Koch Brothers' Citizens United case is so dangerous. Everyone knows that investors, whether Republican or Democrat, expect a return on their investment. And what more and more Americans are beginning to realize is that as long as our elected officials are dependent on the 1 percent to pay for their campaigns, the 99 per cent will get screwed, one way or another. Just like income inequality, middle class voters especially sense there's a growing disconnect between their needs and their elected officials' willingness to help them. It doesn't seem to matter which party they vote for. Many of them don't know what to do about it or who's to blame. That's why Citizens United will be a major focus of The 1 Percent Exhibit: Visualizing IncomeInequality in America, my next exhibit, opening in February. And why, last April, I encouraged Anatol Zukerman to have his Citizens United drawing, which had been exhibited in my gallery in 2013, printed as a postage stamp. Having worked one summer as a researcher-writer for Chief Justice Warren Burger and having studied Constitutional Law with one of the great teachers of all time, Professor Henry Abraham at the University of Pennsylvania, I want to believe that, if enough evidence accumulates and enough pressure builds, the Court itself will one day recognize its mistake and reconsider Citizens United, as it has on rare occasions with other decisions before. way off. Meanwhile, we've got to do what we can now to keep our politicians honest (or, at least somewhat honest) and the One Percenters in check. I never thought the 40 stamps Anatol ordered would be more than a band aid, a clever way to interest more collectors in his wonderfully provocative drawings and call attention to an issue we both felt strongly about. On the other hand, it never occurred to either one of us that zazzle.com, one of three companies the Postal Service partners with to print "custom" postage stamps, would reject the order on the grounds that our Citizens United stamp was "too political." 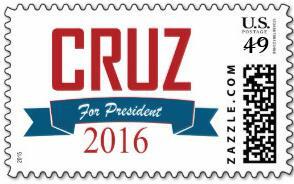 After all, zazzle.com had plastered the Cruz for President 2016 stamps it had printed all over its website last April. Since then, it has printed Bush-Texas 2016 and even a Sanders 2016 stamp. How is it possible that those stamps were acceptable if ours was not? IN BED WITH THE REPUBLICANS? Zazzle.com's summary rejection of our stamp --coupled with the Cruz for President stamps, T- shirts, pins and nasty anti-Clinton bumper stickers we saw on the zazzle.com website the day Anatol's design was submitted, accepted and then rejected a couple of hours later---immediately raised questions in my mind about zazzle's political neutrality. 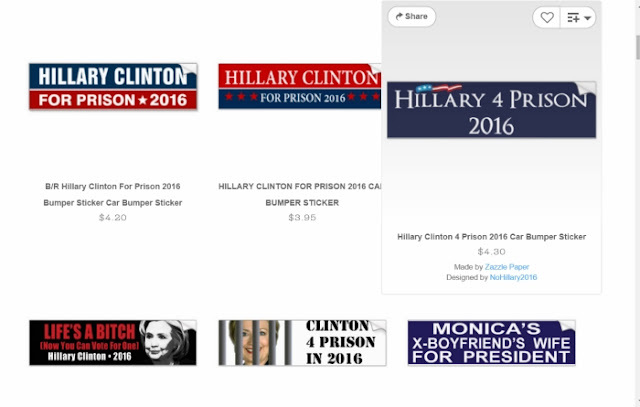 While it does print caps and bumper stickers and pins for Democratic Party candidates, Zazzle's website leaves the distinct impression that it's a Republican party vendor, not a US Government vendor free of partisan politics, as one might expect. Does the Postal Service monitor these private sector vendors to ensure they are, and remain, non-partisan? 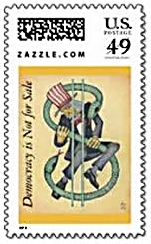 What other political stamps has zazzle.com rejected? If printing four or five different "Cruz for President" and "Texas for Bush 2016" stamps is okay, why is a stamp saying "Democracy is Not for Sale" not okay? What criteria does zazzle use? Are they its own or is this, in effect, outsourced government censorship? Did the judges (or censors) decide "Democracy is Not for Sale" is not a true statement? Will they argue that Anatol was being facetious by placing it next to his drawing? 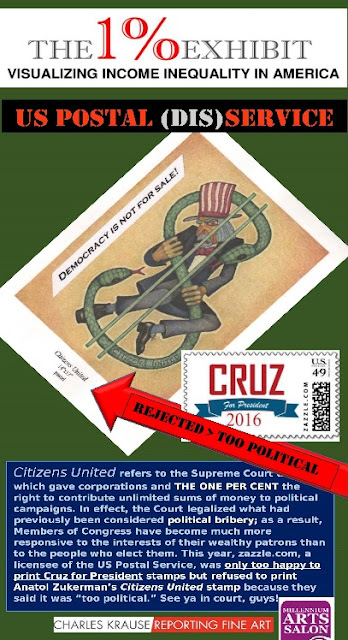 Will they try to shift the focus from their own apparent failure to properly oversee zazzle.com's custom stamp operation by suggesting our proposed stamp presented an unfair and inaccurate representation of the Citizens United decision? We should only be so lucky. I would love the opportunity to depose the Koch Brothers, asking them why they created Citizens United in the first place; how much they paid the lawyers who won the case for them; and how much more money they've been able to pump into their political machine as a result of the Citizens United decision. I'd also like to ask them, since they purport to be libertarians, whether they think the Postal Service and zazzle.com did the right thing by refusing to print our stamp. Greater Reston Arts Center invites interested artists to bring 1-2 recent artworks to the gallery for a group discussion and critique. Each critique will be run by a guest artist or curator and the GRACE Education Director. GRACE will provide light refreshments and beverages. All participants must be willing to discuss their artwork and the artwork of others. Space is very limited. Ages 18 and up. Registration #402645.